We loved meeting a famous author, DD Everest, this week. 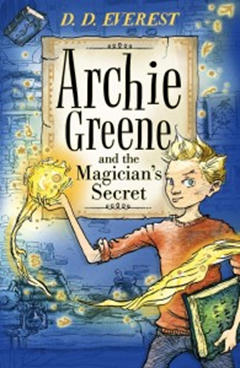 DD Everest is the brain behind 'Archie Green and the Magician's Secret'. It tells the tale of a young boy who discovers an old book hidden deep within an ancient wooden box, written in a language he doesn’t recognise. The book sounds fantastic and we can't wait to read it! DD Everest came in to give his top ten tips to the school in assembly, as well as running writing workshops for Years 5 and 6. He's inspired us all to read more and write creatively. Another great step in the Reading Revolution!